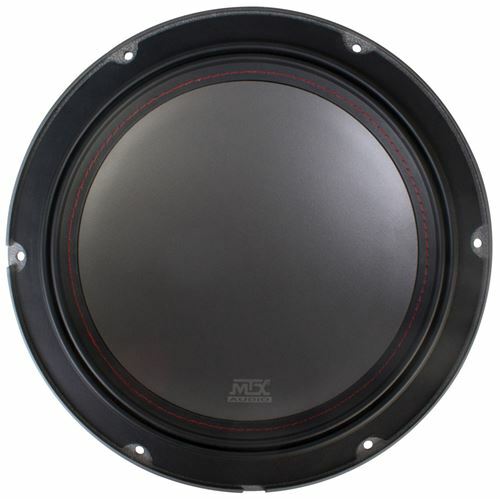 This sub is a second generation marine subwoofer from the number one name in marine audio, MTX. 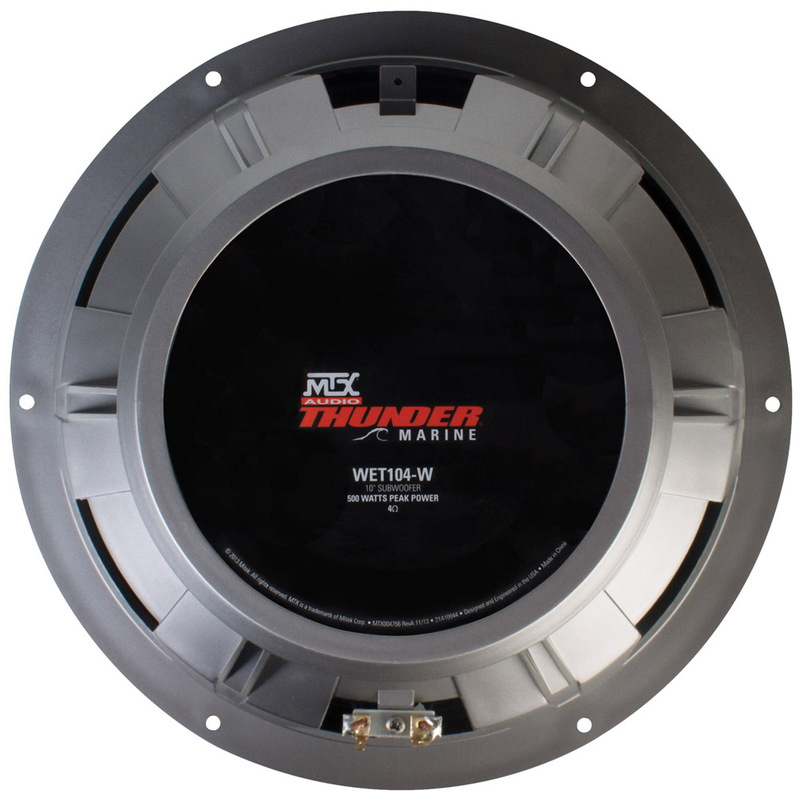 The WET104-W is a 10" single 4Ω subwoofer that can handle up to 250W RMS power. 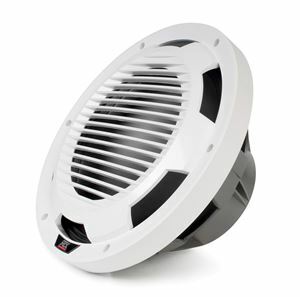 This subwoofer is designed for any environment. This subwoofer is designed for infinite baffle usage, meaning you do not have to build an enclosure for it if you are using it in a boat. The subwoofer will take advantage of the mounting location and use the boat's structure itself as the enclosure. 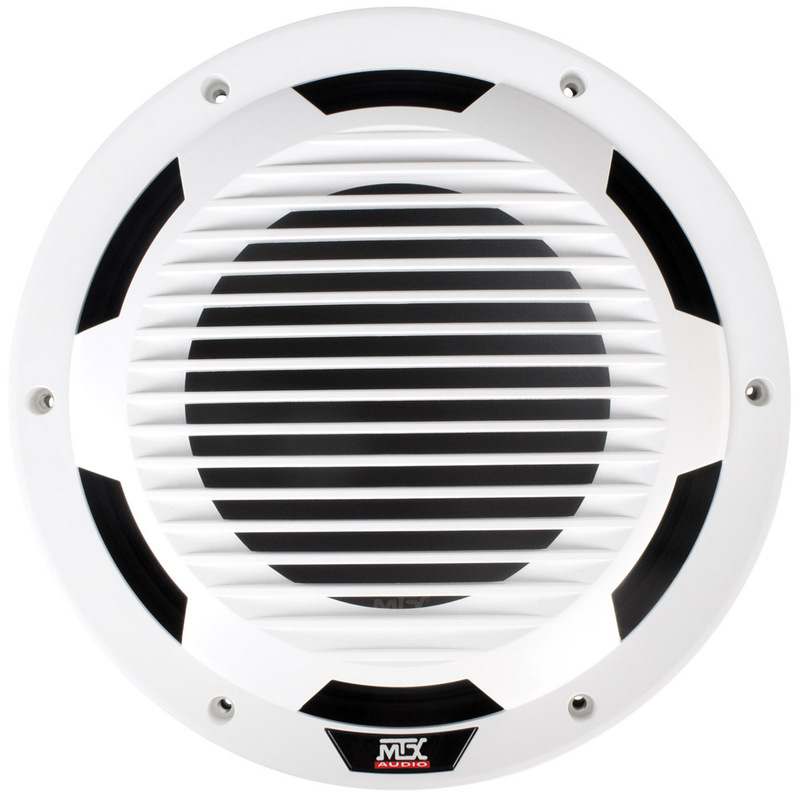 The WET104-W is the second generation marine product from the number one name in marine audio, MTX. 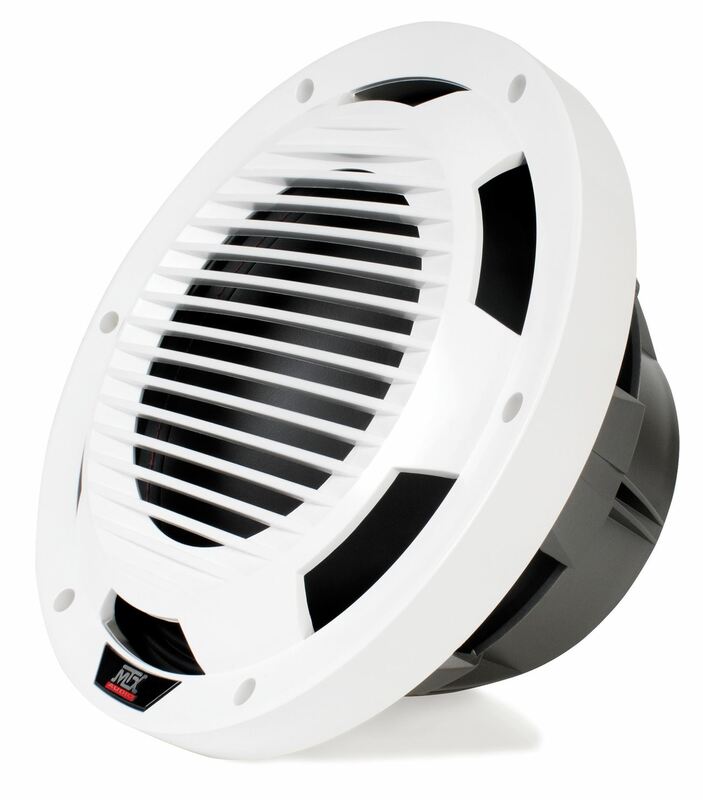 The WET104-W is a 10" single 4Ω subwoofer that can handle up to 250W RMS power. This subwoofer is designed for any environment. 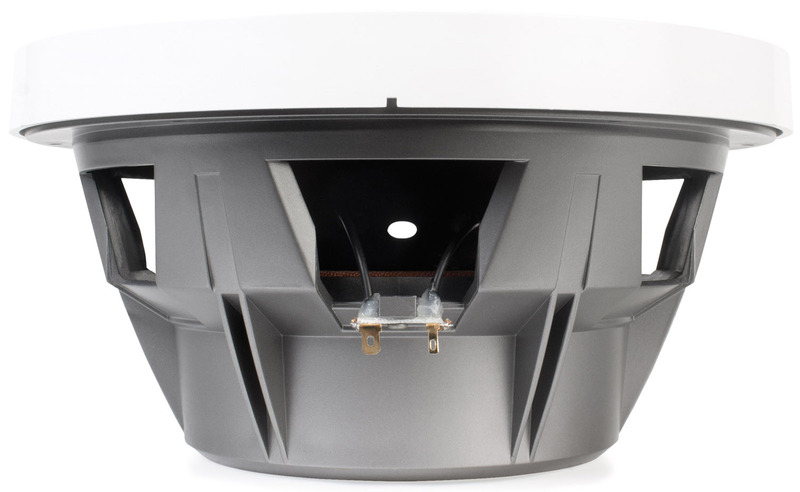 It features a polypropylene cone that is water resistant, a sealed ABS basket that protects the internal motor structure, silicone insulated tinsel leads, and an ASA grille with UV inhibitor that is durable and that won't fade over time.